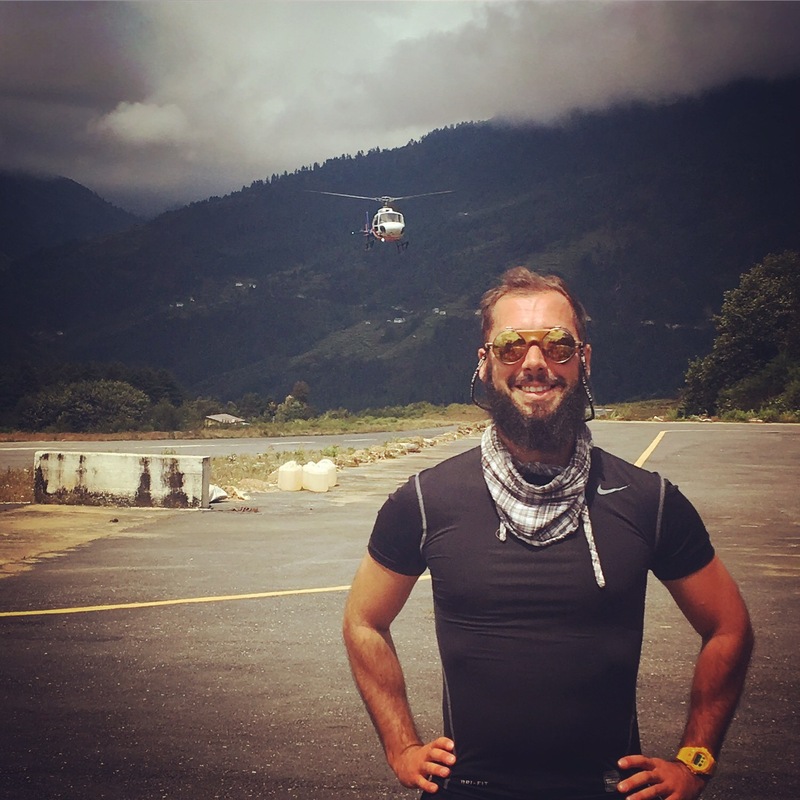 A lot has happened since Lukla airport involving seven 4×4’s, the worst hotel in the world and an emergency helicopter landing in a remote Himalayan village. 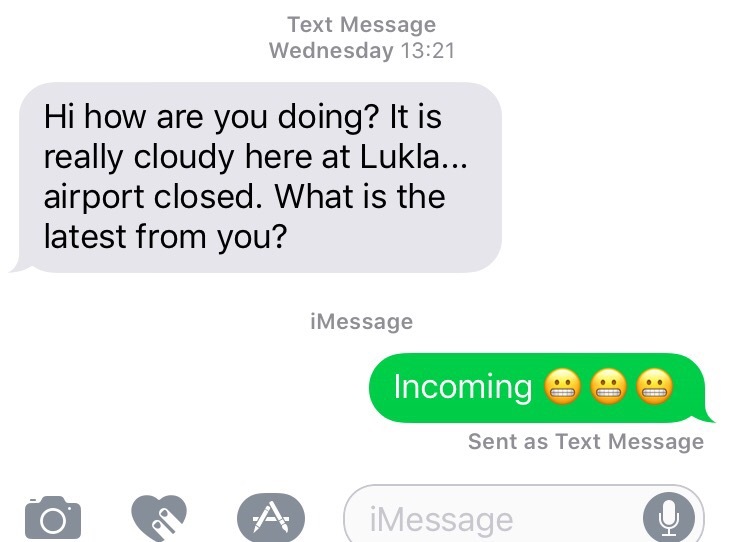 ﻿After 8 hours of waiting including actually boarding the aeroplane and getting into position on the runway, before taxiing back to the airport, Mark gave us two options; return to our hotel or try to reach Lukla – by any means. 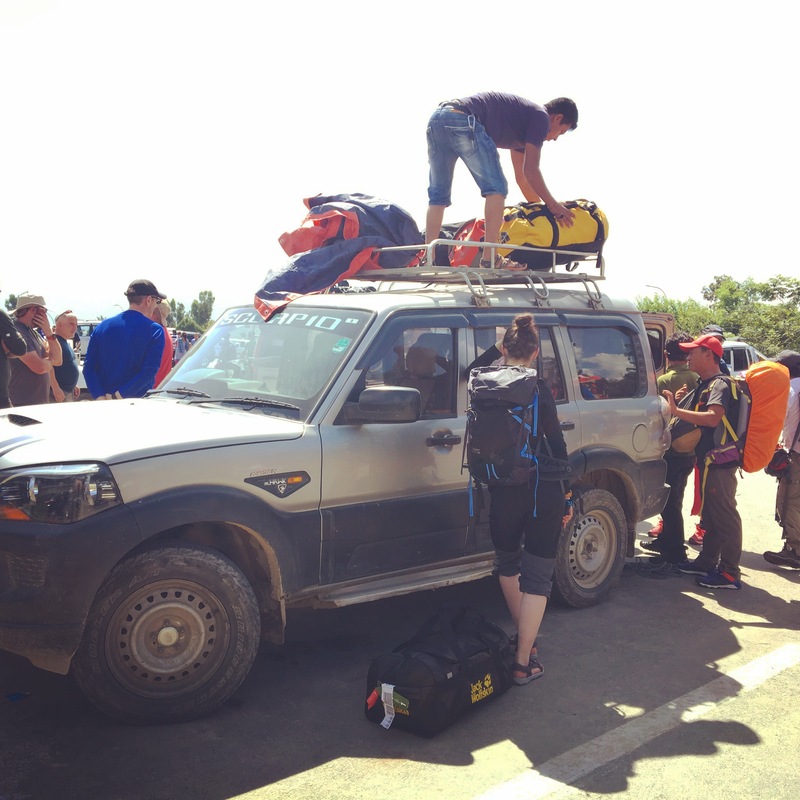 With this in mind, we hired seven 4×4’s and drove in convoy from Kathmandu to Okhaldhungla. 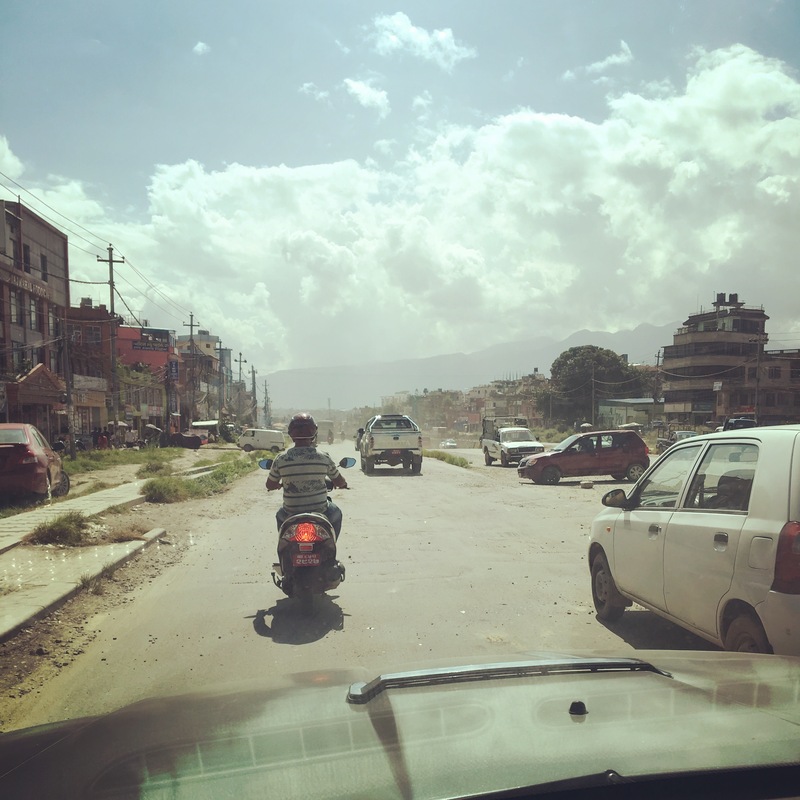 The dusty roads of Kathmandu valley gave way to winding trails leading deeper into the Himalayas. Soon we were enveloped by the soaring hills of a jungle covered Jurassic landscape. We stayed overnight in some pretty basic accommodation – even by Nepalese standards. My cousin Jonny likened it to a Russian gulag, although I’m not sure he’s ever been to one. 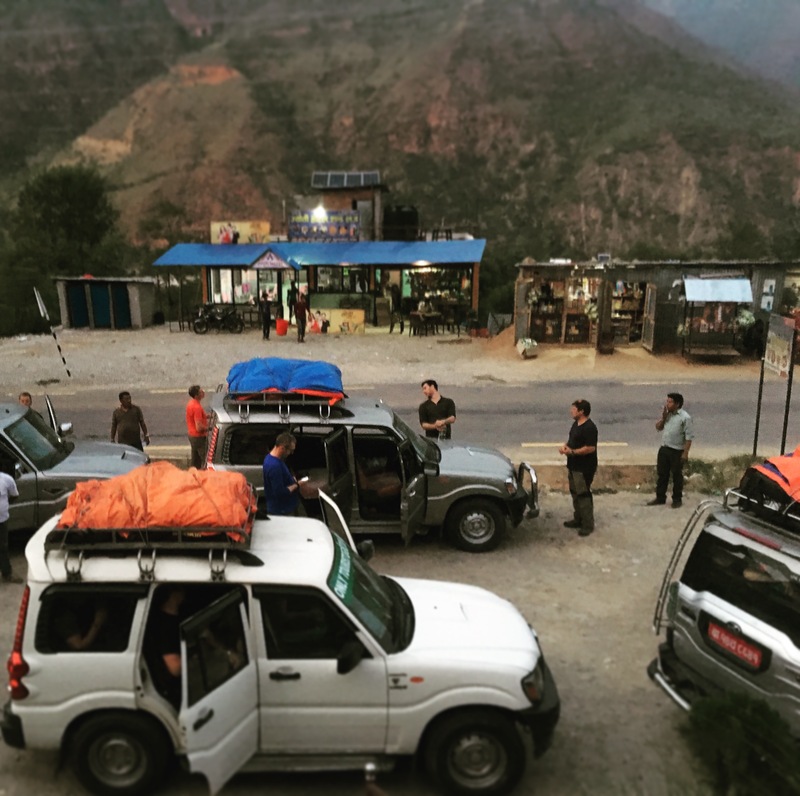 After arriving at the ‘gulag’ in Okhaldhungla at 22:30, we had a few hours rest then started the second leg of our off roading experience at 03:00. The mud covered tracks wound through the landscape which by now was quite mountainous, with sheer drops to one side throughout. The slick, worn out tyres of our aged, yet trusty Mahindra jeep combined with the deep wet mud of the trails enabled our Nepalese driver to drift around some of the bends – sliding through the turns as the six passengers bounced off the windows, ceiling and each other. It was another 3 hours to Paplu, from here the new plan to reach Lukla was to get an Russian ex-military helicopter pick up from the air strip – this style of air travel is possible in much less forgiving conditions. The chopper soared through the valley and swung into the airstrip at Paplu. It had room for six passengers per journey and our group is 41 strong. 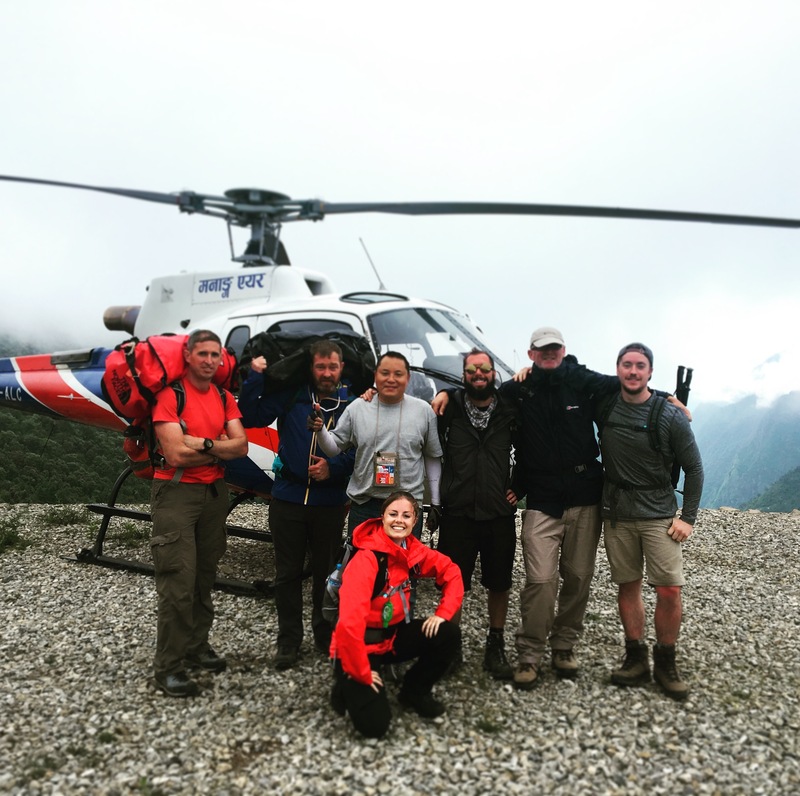 After the first four journeys, the helicopter was taken out of commission so we had to request a new one from Kathmandu, the group was now split between two locations. The drama of the situation increased when it was announced that there was to be a prisoner extraction from the airstrip we were waiting on. We witnessed Nepalese con-air in action as the offenders were marched by armed guards to the light aircraft that had arrived to collect them. We were forced to perform an emergency landing in a remote Himalayan village, the local villagers all turned out to welcome us and ask what on earth we were doing there! They gave us great directions and from there we made our way up the mountain trail to Lukla to rejoin the rest of the team. ﻿﻿After a quick bite to eat, we were on the trail heading to Phat Ding, where we planned to sleep that night. These 24 hours were an absolute roller coaster!